ConocoPhillips released plans to spend $15.8 billion in 2013. Of that, more $4 billion will be spent across the company's U.S. assets in the Bakken, Barnett, Eagle Ford, Niobrara, and Permian Basin areas. Targets in all of those areas are liquids-rich. 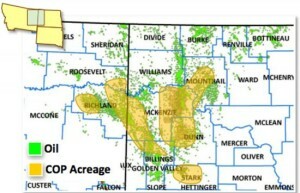 If 2012 is a good indication of what to expect in 2013, Conoco will likely spend 15-20% of the $4 billion allocated for the U.S. in the Bakken. In 2012, the company spent approximately $600 million developing the play.